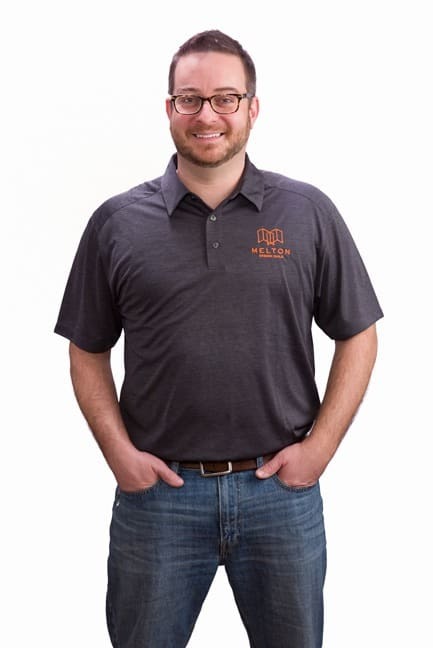 Home » Who We Are » Meet the Team » Benjamin F.
Benjamin joined the Melton team after having worked 15+ years in the construction industry and receiving his certification as a National Association of Home Builders Certified Graduate Remodeler. Benjamin also received his Bachelors Degree in Spanish from CCSU, in New Britain, CT. Benjamin comes from a family of carpenters and grew up living and working in remodeling projects. With this extensive experience in residential construction (new construction, historic preservation, and remodels) he has acquired a diverse skill set to bring to the Melton team. Benjamin is committed to upholding the highest professional standards in everything he does as a project manager. When it comes to his strongest work attributes, he’s been described as having superior communication skills, being diligent, a creative problem solver, and very loyal. The most interesting project that Benjamin has ever worked on was managing a project for the historic restoration of the Captain Nathaniel Loomis House (c.1752) in Windsor, Connecticut. It required preserving balance, utilizing energy efficient and green products while maintaining historical accuracy. In his free time, Benjamin loves spending time in the outdoors backpacking, camping, and riding around in his Jeep with his wife, Alison, and their two dogs. He also enjoys the Hartford Whalers, the beach, lobster, and some good queso.